One benefit of flying Jetstar is the fact that you can earn and use qantas points when flying, as well as earn status credits. Jetstar have eight A321s in their fleet, which are utilised on routes such as Melbourne to Perth, Sydney to Melbourne and Sydney to Brisbane. 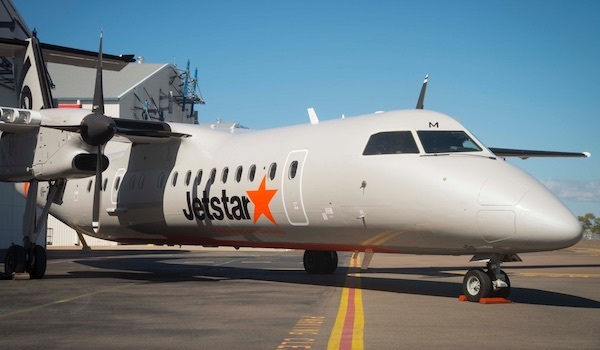 Jetstar provides the most services on the Melbourne to Hobart route, operating eight flights per day using both A321 and A320 aircraft. The aircraft features an all economy layout with 220 seats in a 3-3 configuration. Seat width comes in at 17.8″ and seat pitch is low at 29”. 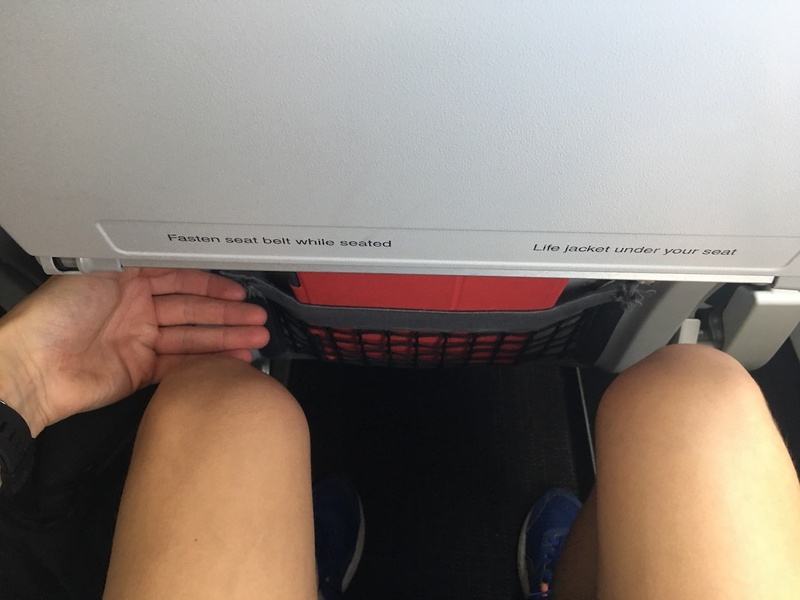 Thanks to the slimline seat design, the legroom is good for a low-cost carrier; I had about 5cm of legroom in my standard seat, 23F (I am 179cm tall ). However, there was someone much taller than me sitting in the row across, and it looked like he had almost no legroom. The seat itself is made of leather and offers reasonable comfort, however, it lacks a headrest and would not be comfortable for sleeping. Under-seat storage is acceptable, but it is much more comfortable having the room to stretch your legs out. Something I like about the seat design is the magazine holder at the top, which contains the safety card, menu, Jetstar magazine and airsickness bag. This frees up space in the storage net below the tray table, while also maximising legroom. Seat selection is an optional extra and to select my standard seat cost $6. Before check-in, I changed my seat selection, and I was able to score a row to myself! All of the standard seats are basically the same, however, 12A and 12F have extra legroom due to a missing seat in front. You also have the option of selecting an ‘upfront’ seat so you can supposedly get off quickly, but these seem pointless to me, as everyone stands up as soon as the aircraft parks at the gate, even if doors are closed. This would have cost me $15. Extra legroom seats cost $10 for my flight, but I didn’t have any problems with the legroom in my standard seat. Also, check-in staff are always looking for people to sit in these emergency exit rows, and often upgrade people who arrive early and haven’t selected seats (or you can ask nicely). 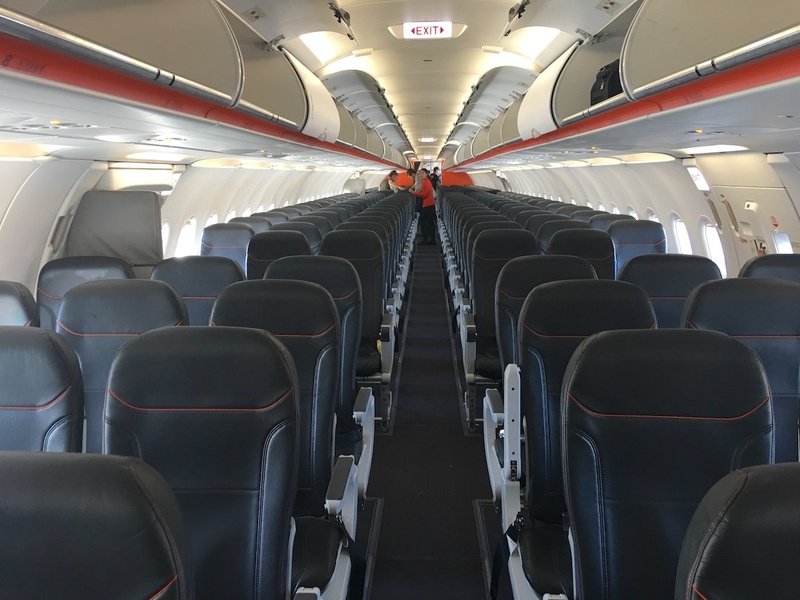 As with most low-cost airlines, Jetstar does not provide complimentary food and drink. You can, however, purchase items online before your flight or from the onboard menu. Please note Jetstar only accept payment via card when on board. 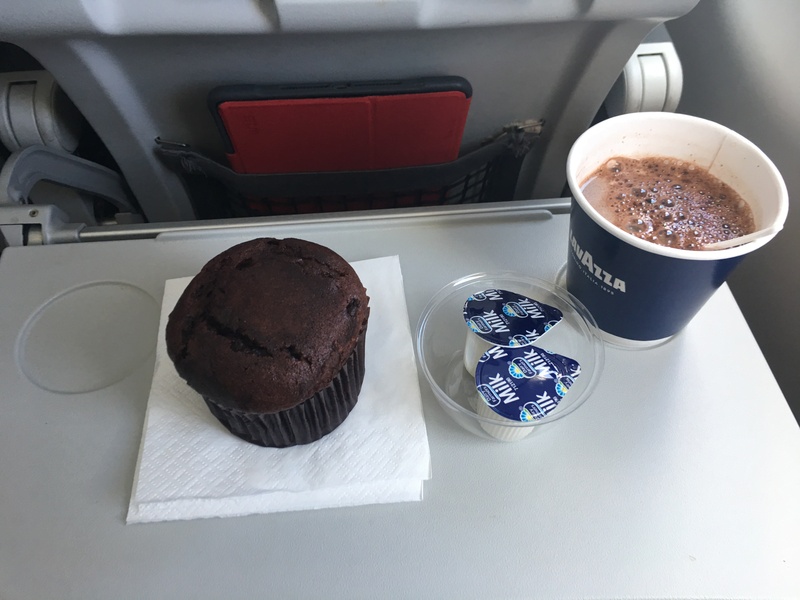 Prices are very reasonable, and I decided to get a hot chocolate and a chocolate muffin for $7. Both items lived up to expectations and were enjoyable. 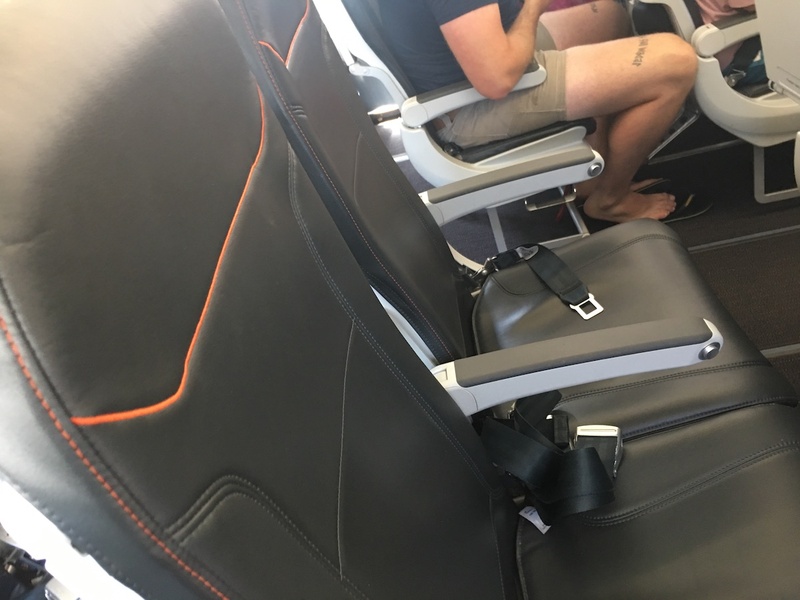 Being a low-cost carrier, Jetstar does not provide inflight entertainment on this domestic flight. 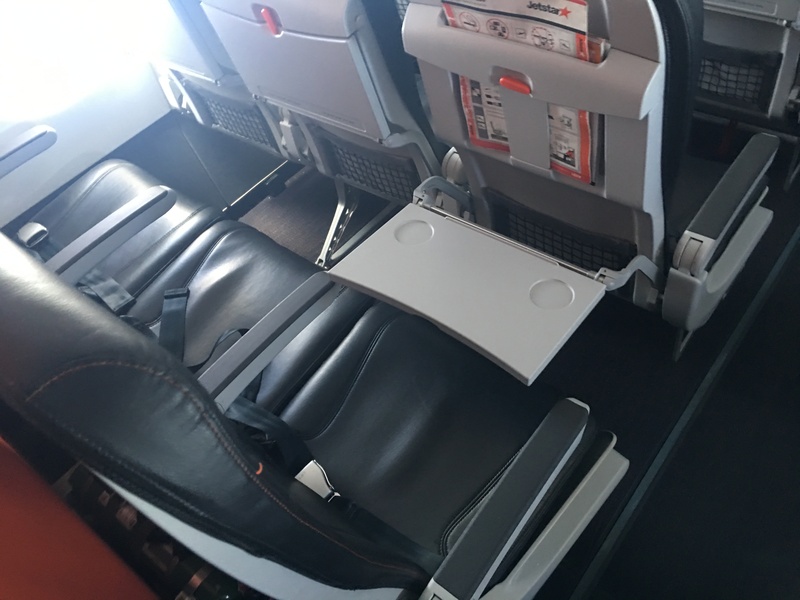 Jetstar only provide inflight entertainment on international flights on their B787 aircraft. Because Jetstar are a part of Qantas, you can earn and use qantas points when flying, as well as earn status credits. 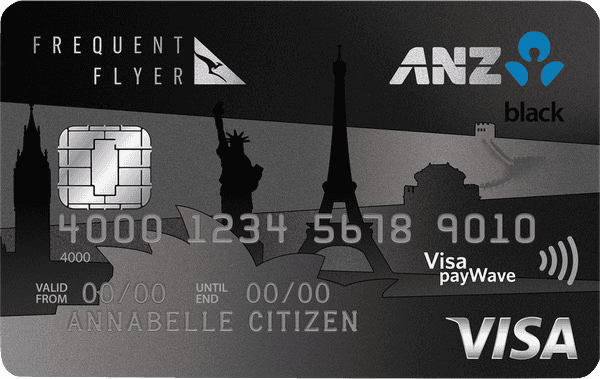 However, to earn qantas points and status credits you must purchase either the plus or max bundles. With the plus bundle, you will earn at the economy rate and on the max bundle you will earn at the flexible economy rate. For this flight the plus bundle cost $40 and the max bundle cost $85. In addition to loyalty rewards, the bundles also include checked baggage, seat selection, food and drink and other benefits. Jetstar award redemptions cost 20% less points than Qantas award redemptions. The best way to book award redemptions with Jetstar is on the Qantas website. You can also use “points plus pay” on the Jetstar or Qantas website (just before payment) however, this is likely to cost more than a standard redemption. Jetstar is a sort of ‘you get what you pay for’ airline. People who expect Jetstar to be just as good as its parent airline, Qantas, are not travelling for the right reasons. 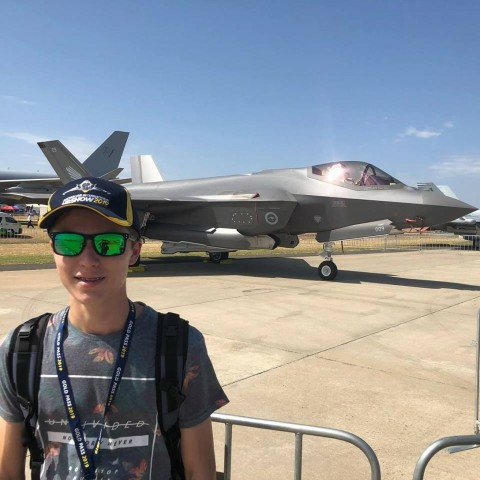 Based on my experience with Jetstar I would say that the airline best suits people who want to get to their destination for the lowest price possible, and that they should be prepared to make sacrifices to save. Thanks for letting me know. 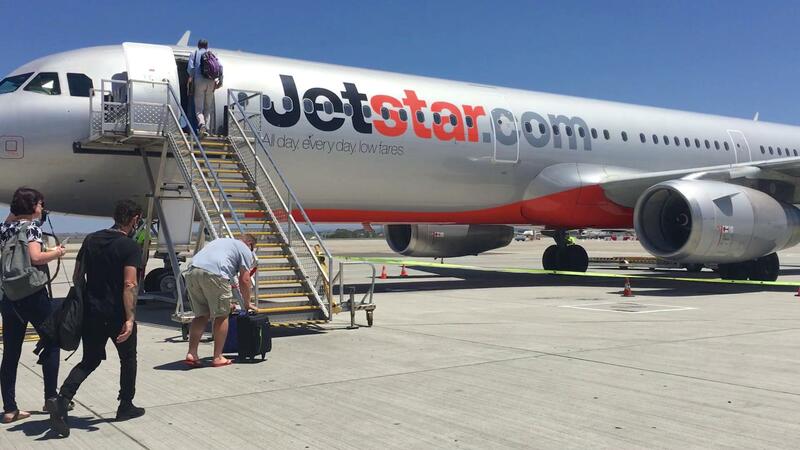 This article was written a while ago with the 220 figure quoted from Jetstar’s website. It looks like they have recently updated this page as it now states that the A321 can carry “between 220 to 230 passengers”. I just flew Hobart-melbourne-hobart with Qantas points. 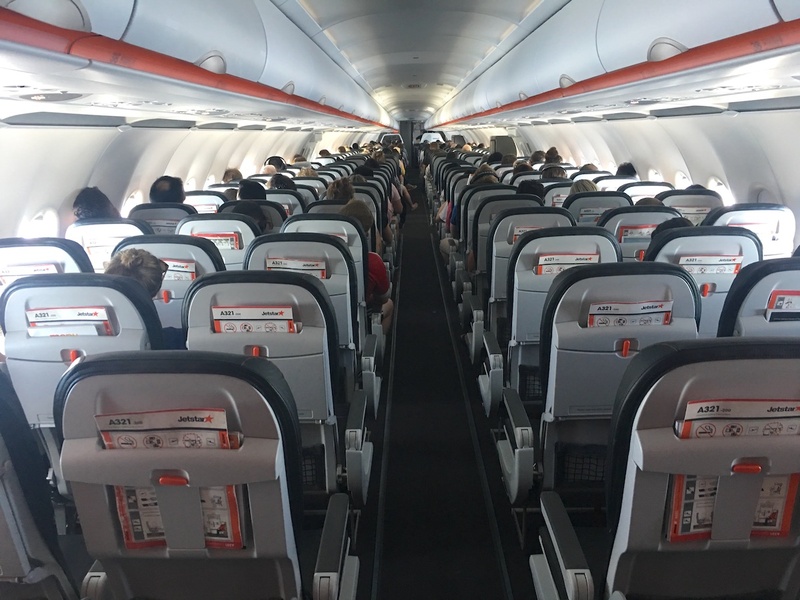 If you’re flying at short notice using points with Jetstar is often cheepest as the cash price rises steeply in the few weeks before the flight. Used qff point to travel to Christchurch from Adelaide return. Qf out of ADL economy, Emirates business class as nothing else available, excellent so far no complaints, Qantas transferred me seemlessly to the international terminal. The return trip was a nightmare, Qantas flight available ex Christchurch but was booked on Jetstar unasked, no choice given. Dumped in Sydney and even though I considered myself a Qantas passenger travelling onQantas frequent flyer point, they refused to transfer me to the domestic terminal and was told that Jetstar had nothing to with Qantas. That surprised me. Rush to get on the Jetstar ADL flight. Very sub standard result as I feel downgraded without being told or choices given. Next time I will question the booking clerk as to my choices as I will not except such a down grade again. Jetstar is what it is, if you expect full service you will be disappointed. I don’t know how long this no-frills will last but for short haul it’s fine. Squishy seats are the only issue. That is an excellent point, thanks for letting me know. Thanks for letting me know you enjoyed the review Will. I appreciate your compliment. Uhhhh, excuse the pun, but whats the point? This website is still going truly downhill. This is meant to be point hacks, not what to expect from jetstar on a paid fare. Glad your Muffin was “enjoyable” though, I’ll keep that in mind. I’m still waiting for an article detailing how to log into my frequent flyer account. Haven’t been able to redeem my points yet. I’m sure you can appreciate that our readership base is quite diverse, and what may be of interest to you may not be of interest to others. This of course also applies in reverse. 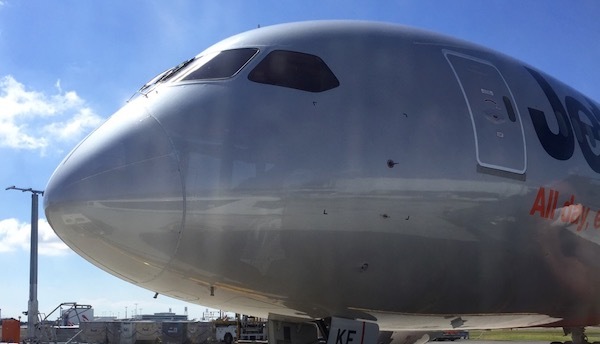 This article is relevant to Point Hacks, given that you can both earn and redeem Qantas points on Jetstar flights, so a review of the airline would be of interest to many. I recommend that should a particular article on Point Hacks not be of interest to you, that you skip over that article and find one more to your liking. Hello Tom, thanks for your comment. My intent for this article was to show readers what you can expect when redeeming Qantas points for Jetstar flights, in order to help them determine if this is a good use of their hard earned points. If you would like to read an article about redeeming points I would recomend you check out the “guides” section of the site and then select the appropriate frequent flyer programme. Alternatively, you can use the search function. I recommend the Jetstar bundles where you can pre order a meal or have the option to change or cancel your airfare. I just wish that Ryanair and Aer Lingus had something similar. It’s great to see a range of reviews here from International Business Suites to budget airlines and rail passes.